In this talk we describe two distinct problems that we have studied where seemingly modest variations in an elementary channel flow produce new effects. First, we investigate some influences of flow on biofilms. In particular, we identify the formation of biofilm streamers, which are filaments of biofilm extended along the central region of a channel flow, and show how these filaments are capable of causing catastrophic disruption and clogging of industrial, environmental and medical flow systems. We present a mathematical model to rationalize the rapid growth of the streamer. Second we consider flow in a T-junction, which is perhaps the most common element in many piping systems. The flows are laminar but have high Reynolds numbers, typically Re=100-1000. It seems obvious that any particles in the fluid that enter the T-junction will leave following the one of the two main flow channels. Nevertheless, we report experiments that document that bubbles and other low density objects can be trapped at the bifurcation. The trapping leads to the steady accumulation of bubbles that can form stable chain-like aggregates in the presence, for example, of surfactants, or give rise to a growth due to coalescence. Our three-dimensional numerical simulations rationalize the mechanism behind this phenomenon. Professor Howard A. Stone is Donald R. Dixon ’69 and Elizabeth W. Dixon Professor in Mechanical and Aerospace Engineering at Princeton University. Before joining Princeton he was the Vicky Joseph Professor of Engineering and Applied Mathematics at Harvard University. In 2000 he was named a Harvard College Professor for his contributions to undergraduate education. Professor Stone's research interests are in fluid dynamics, especially as they arise in research and applications at the interface of engineering, chemistry, physics, and biology. In particular, he is well known for developing original research directions in microfluidics including studies and applications involving bubbles and droplets, red blood cells, bacteria, chemical kinetics, etc. He received the NSF Presidential Young Investigator Award, is a Fellow of the American Physical Society (APS), and is past Chair of the Division of Fluid Dynamics of the APS. For ten years he served as an Associate Editor for the Journal of Fluid Mechanics. He is the first recipient of the G.K. Batchelor Prize in Fluid Dynamics, which was awarded in August 2008. 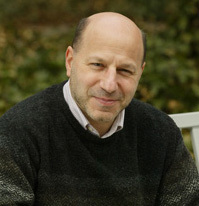 In 2009 he was elected to the National Academy of Engineering. In 2011 he was elected to the American Academy of Arts and Sciences.